Hey everyone! I hope you've all had a nice weekend. I've never appreciated weekends more than I do now that I work full time and so I have to try and get as much out of them as I can. Saturday is my 'nail day' where I try and cram as many designs in to one day as possible, and then the rest of the week I live at my boyfriend's house where I have no nail polish (shock horror). This week however it's my graduation so I'll be able to hopefully paint some graduation nails on Tuesday night in time for Wednesday! 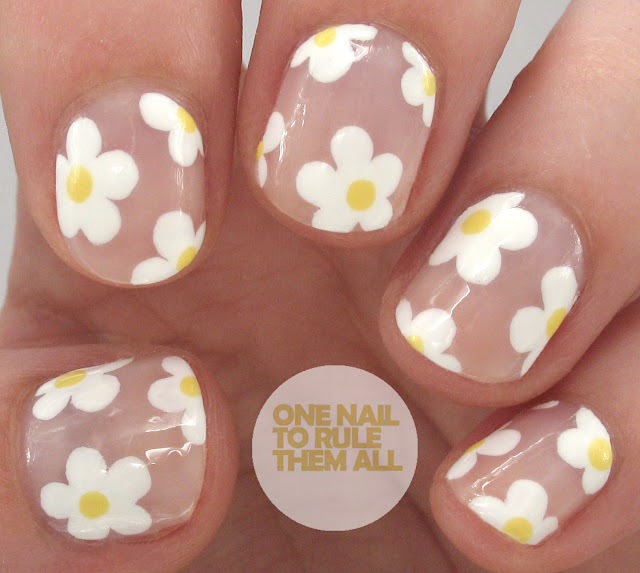 Today's nails are these cute negative space daisy nails. As you all know I love negative space designs and I've done a couple of floral ones before, but I really liked the idea of doing daisies for an even more simplistic look and I love how they turned out. I wore these all of last week and I couldn't stop staring at them the whole time. For these I used one coat of Sally Hansen - Shell We Dance as a base and then I used a nail art brush and Barry M - Cotton for the flowers. I tried using a dotting tool but it didn't look as I wanted so I swapped. Then I used a dotting tool and Mavala - Lemon Cream* for the centre of the flowers. Finally, I topped it off with a coat of Seche Vite. I do almost wish that I'd done these matte but it was also nice to have some shiny negative space nails for a change! Love the daisies!! 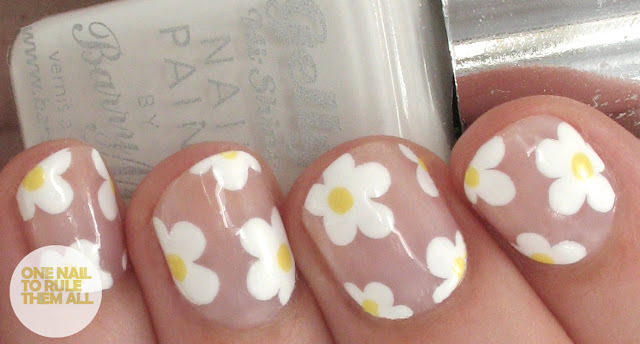 I'm a bit confused, did you use a dotting tool for the daisies or free hand? Btw Congrats on your graduation!!! Oops sorry! I used a brush for the flowers and a dotting tool for the centres. I've changed the post now. And thankyou! Awww...so cute! Love that flowery design. Its nicely and neatly done. You really nailed it!!!! I love this design, it'd be perfect for spring. So pretty and dainty! No wonder you wore them all week! Looooooove the negative space - so chic.